Under the direction of Ron Carter, the nationally renowned NIU Jazz Ensemble will perform its fall concert with international jazz trumpet player Terell Stafford and School of Music faculty saxophonist Rich Moore. The music begins at 8 p.m. Thursday, Nov. 17, in the Duke Ellington Ballroom of the Holmes Student Center. The concert is free and open to the public, and the ballroom is accessible to all. Hailed as “one of the great players of our time” and “a fabulous trumpet player,” by piano legend McCoy Tyner, Stafford is known for being a gifted and versatile player with a voice all his own. Stafford combines lyricism and a deep love of melody with a spirited, adventurous edge. This uniquely expressive, well-defined musical talent allows him the ability to dance in and around the rich trumpet tradition of his predecessors while making his own inroads. McCoy Tyner’s Sextet, the Kenny Barron Sextet, the Frank Wess Quintet, the Jimmy Heath Big Band, the Clayton Brothers Quintet, and the Jon Faddis Orchestra. 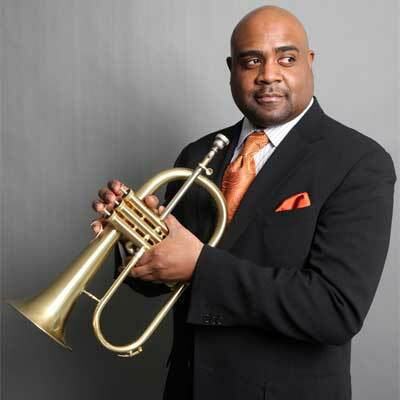 He has recorded six albums as a leader, including the critically acclaimed “This Side of Strayhorn,” and is heard on more than 90 albums as a sideman. Born in Miami and raised in Chicago and Silver Spring, Md., Stafford received a bachelor’s degree in music education from the University of Maryland in 1988 and a master’s degree in music from Rutgers University in 1993. An educator as well as a performer, Stafford currently holds the positions of director of jazz studies and chair of instrumental studies at Temple University in Philadelphia and is a clinician for the prestigious Vail Foundation in Colorado and Jazz at Lincoln Center’s Essentially Ellington Program. He also has served as a member of the faculty for the Juilliard Institute for Jazz Studies in New York. Stafford is also a board member of the Jazz Education Network. Moore is an active and in-demand freelance saxophone player and educator. As a performer, Moore has been on stage and recorded with many of Chicago’s finest musicians in notable venues. Versatility and adaptability have given him the tools necessary to make music in a variety of genres. While his main focus is jazz, his passion branches into classical, Latin, funk, rock, pop, Caribbean and rhythm ‘n’ blues. As an educator, he has given guidance to many successful young musicians. His students have earned top rankings at state high school competitions and festivals, won top chairs in college ensembles and have achieved success as professionals. His considerable teaching experience includes private lessons in saxophone, clarinet and flute, saxophone master classes, improvisation master classes, jazz ensemble clinics, guest artist appearances, and ensemble coaching. In addition to teaching saxophone at NIU, he is an iinstructor of clarinet at Moraine Valley Community College, and has private lesson studios in acclaimed suburban school districts. 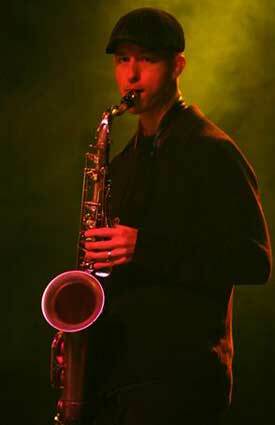 Moore holds a bachelor’s degree in music (saxophone performance, with an emphasis in jazz studies) and a master’s degree in music (clarinet performance) from NIU. 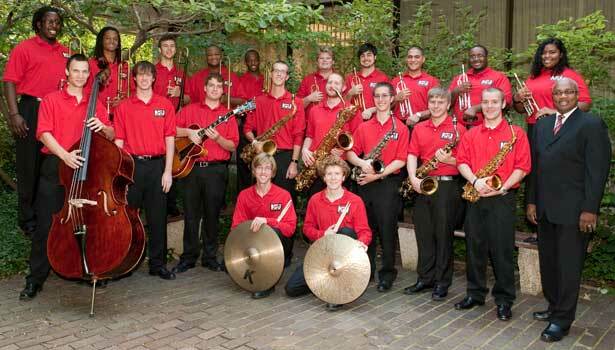 The NIU Jazz Ensemble continues to gain high critical acclaim. While the majority of the Jazz Ensemble’s make-up consists of musicians from Illinois, this edition of the Jazz Ensemble includes students from Florida, Wisconsin, California, Minnesota, Missouri, South Carolina and the Czech Republic. The ensemble also includes three members of the Rosebud Foundation Jazztet: Victor LeJeune on trumpet, Christopher Johnson on trombone and Daniel Henson on drums. From June 1998 to the present, the Jazz Studies Program at NIU has been rated as one of the top 10 graduate jazz programs in the country by U.S. News & World Report. In addition, the the program has won significant recognition from Downbeat Magazine’s Student Recognition Awards, capturing more than 10 Outstanding Performance Awards. Jazz bands from NIU have received Outstanding Performance Awards at several major jazz festivals, including the prestigious Notre Dame, Elmhurst and Eau Claire collegiate jazz festivals. The Liberace Graduate Jazz Combo already has received international acclaim performing at the IAJE Conference in Toronto, Canada, the JVC Jazz Festival in New York and the Lima Peru Jazz Festival in Lima, Peru. For more information about the Nov. 17 concert, contact Lynn Slater at lslater@niu.edu or (815) 753-1546.